Photo courtesy of Ron Harr that appeared in the Tennessean on May 4, 2007. The photo was taken sometime during the 1980’s. It was ten years ago today that I really became disgusted with development. One of the oldest houses, if not the oldest, in Nashville,TN was demolished in order to make way for a Home Depot Store. 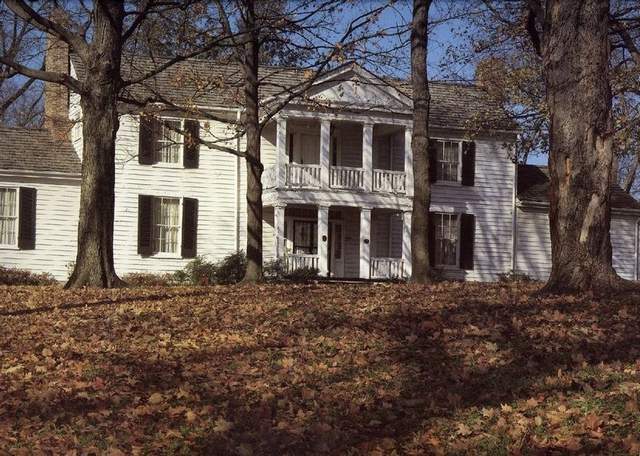 The house was formerly the site of the Jim Reeves Museum but was also known as Evergreen Place. The developer even ignored a Stop Work order that was posted on the door of the house as well as the gate but the fine was minimal so why not. I sat on a lady’s porch that evening who lived across from the house until around dusk, thinking that they wouldn’t do anything. Boy, was I wrong. Someone called as soon as I left and they proceeded to tear it down. Amongst the rubble, the logs of the original log cabin were discovered. The builder of the, Rev. Thomas Craighead, constructed a log cabin on the site around 1785. Sometime in the 1830’s, the log structure was expanded and clapboard was added which happened fairly often in Tennessee as a family grew and became more prosperous. Rev. Craighead was one of the first Presbyterian ministers in what was part of North Carolina who went on to be one of the founders of Davidson Academy which became Peabody College and later absorbed by Vanderbilt University. This was an important structure to Nashville’s history but it stood in the way of a man and his millions. I do have photos of it but have been unable to put my hands on them since I have so many to look through. Plus, I couldn’t let this day go by without writing about this significant event.